Digital transformation has seen the telecommunication sector to shift its view on telephony from just voice calls, SMS and communication to connectivity – which has become a tool for development. Mobile can increase the quality, reduce the cost and extend the reach of healthcare. mHealth, defined by the World Health Organisation (WHO) as “medical and public health practice supported by mobile devices, such as mobile phones, patient monitoring devices, personal digital assistants (PDAs), and other wireless devices” have the potential to generate significant impact by reaching women and children who lack access to essential healthcare and nutritional information and services. In December 2016, Dr. Rahel Bekele Teklegiorgis, a visiting researcher from the School of Information Science, Addis Ababa University, presented her research on ICT4D (Information and Communication Technologies for Development) at Malmö University. Dr Teklegiorgis discussed her work in designing IT and community health interventions in rural Ethiopia, a timely project considering that according to the World Bank, 81% of Ethiopia’s population were living in rural areas. The “Technology Enabled Maternal and Child Health Care (TEMACC-Ethiopia)” objective is to develop an appropriate ICT-based service platform, which enables mothers to receive public health related information without the need to travel long distances; helps health extension workers to receive health education online or on their mobile devices by interacting with a specialist elsewhere without leaving their hometown or locality; allows collaboration and consultation among healthcare professionals, and creates virtual professional communities for improving maternal and child healthcare. I was particularly interested in the project as I both have a deep interest in the role of ICT’s in healthcare and also keenly interested in projects that impact women and children in the Horn of Africa region. The role of ICT’s is of course directly related to our studies of ‘Communication for Development’ where we have already tackled techno-centric interventions and theory in light of the digital divide between global North and global South (Pieterse, 2010). In focusing on ICT4D, we are investigating how people or organisations can use ICT’s as a tool to increase development effectiveness or efficiency. The growth of mobile phones has become an increasingly important phenomena to not only mobile phone industry, but also states, donors and development organisations engaged across a wide range of development sectors (Qureshi, 2011). Several projects in Ethiopia have attempted to utilise mHealth tools to deliver or/and improve health services to rural areas in Ethiopia, and many have faced challenges ranging from poor network coverage, limited technological literacy of health workers, and government commitment/collaboration. 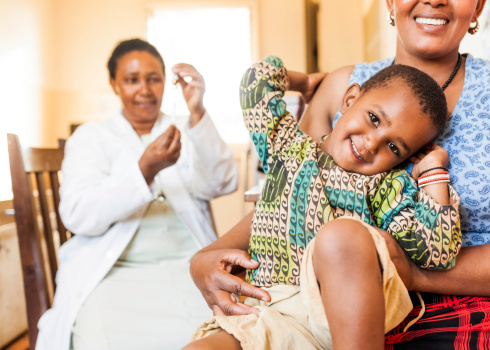 The TEMACC-Ethiopia project specifically explores these challenges and whether and how they can be overcome to facilitate significant improvement in maternal and child healthcare practices of rural communities using information and communication technologies. Preliminary findings indicate that in order for ICT’s to improve the quality, safety, and efficiency of healthcare services, reflective and participatory design methodology and collaborative action research are necessary, both in providing holistic answers to the challenges of healthcare information delivery and to effectively train health extension workers to be able to identify and treat conditions impacting maternal and child health. While ICT’s play a complex role in development process, not only can their impact be limited by issues of access, availability, affordability and skills but also making full use of ICT’s requires taking into account an individual’s agency which is shaped by social norms (Kleine, 2010). Kleine, D. (2010). ICT4What? — Using the Choice Framework to Operationalise the Capability Approach to Development. Journal of International Development, J. Int. Dev. 22: 674–692. Pieterse, J.N. (2010). Development Theory: Deconstructions/Reconstructions (2nd ed.). London: SAGE Publications. Qureshi, S. (2011). 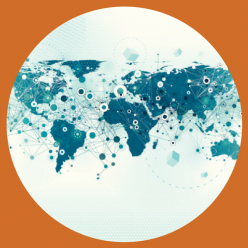 Globalization in Development: Do Information and Communication Technologies Really Matter? Information Technology For Development, 17(4): 249-252. Your post is very thought provoking; I think it has a lot of valid points with regards to the usage and benefits of mHealth. It raises the question of why something as simple as using a mobile phone to gain access to healthcare essentials are not used to help poverty stricken countries sooner. Your research is very good and the use of statistics helps to give an overall picture of the locality and the situation in Ethiopia. For someone who is new to the subject, the references used and points made all work together to provide a platform for further study into the subject matter.